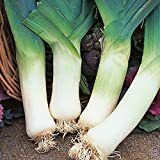 Leek seedlings for sale – Easy plant to grow with edible stems, planting in spring to autumn, better to buy seedling, plant or another option to start from seeds yet more challenging. 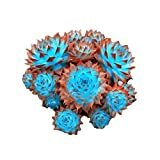 Growing information: annual plant with perennial growth, growing hardiness zone: 3-10, water needed – average amount, light conditions – full sun to partial shade, height: 0.5-2m, 2-6 feet. Blooming in the summer to autumn in umbel shaped flowers that appear in white color. 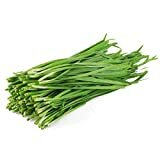 Leek seedlings for sale – What do I need to know before buying Leek seedlings? 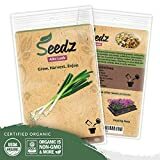 Leek seedlings needs rich soil, well drain soil, free of rocks, nitrogen, moist, full sun to half shade, cover lightly the seeds in 0.5 cm, regular watering, the seedling need to be at least 5 cm high, check that the root system full grown, and the plant go up.